Baghdad (AFP) – In the heat of battle against the Islamic State group, Iraqis united against a common enemy. That query is made all the more pertinent by the failure of May’s elections — thus far — to produce a new administration, as a record abstention rate highlighted Iraqis’ contempt for their political leaders. AFP / AHMAD AL-RUBAYE. 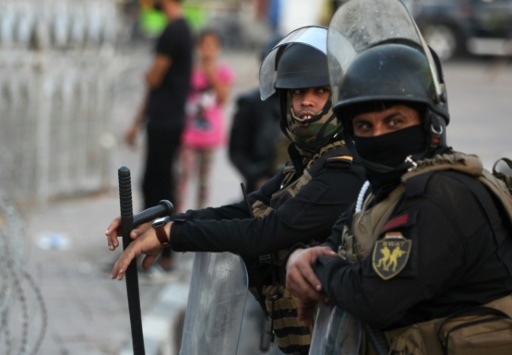 Members of the Iraqi security forces deployed in the capital Baghdad’s Tahrir Square during demonstrations against unemployment on July 16, 2018. AFP / Haidar HAMDANI. 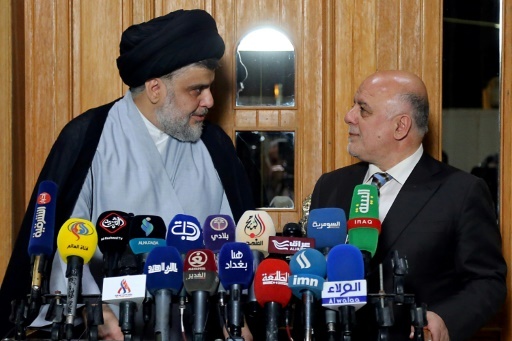 Iraqi Prime Minister Haider al-Abadi (R) attends a press conference with Iraqi Shiite cleric and leader Moqtada al-Sadr in Najaf on June 23, 2018. “They don’t have a leadership, a political identity or media support (to further their) legitimate demands,” he says. Featured Photo: AFP / Haidar MOHAMMED ALI. 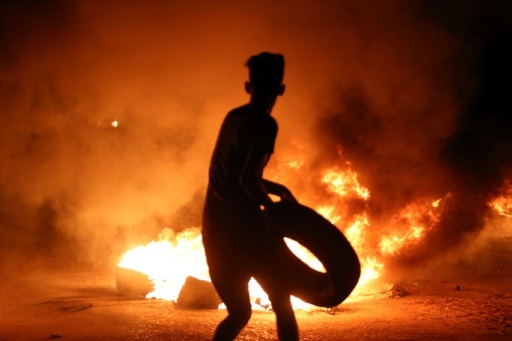 A demonstrator burns tyres during a protest against unemployment and high prices in the southern Iraqi city of Basra during the night of July 12, 2018. Ali Choukeir is AFP Iraq correspondent. His reporting has also appeared at MSN, Yahoo, France 24, Times of Israel, La Presse, Arab News, Daily Star (Lebanon), The Times South Africa, and Japan Today.